Growing up as a kid in Australia, I was never a basketball fan, let alone a Michael Jordan fan. For me it was all about Rugby League and Cricket. We didn’t have cable TV back then and basketball courts were few and far between. 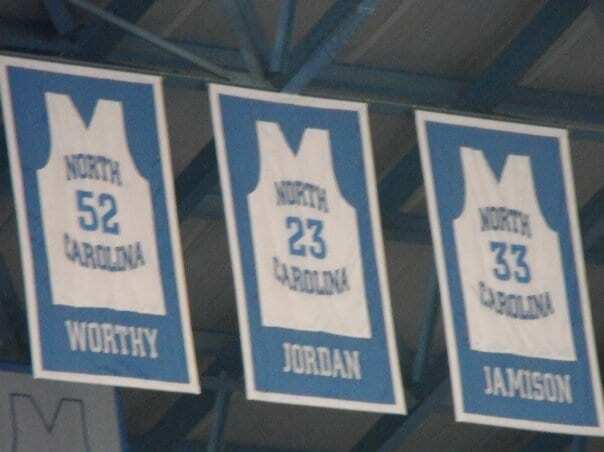 I was only 9 years old when Michael Jordan won his first National Championship playing for the University of North Carolina, and 17 when he won his first NBA Championship with the Chicago Bulls. I don’t recall any memory of either of these milestones, and it wasn’t until a few years later that I first became exposed to the man they call “Air Jordan” and the feats he could display on the court. I’ve always been a sports fanatic, and as I got older I started to watch pretty much any sport at the highest level. I just love watching the best athletes train and perform. I do remember purchasing all of Michael Jordan’s videos about his life and career, and watched them over and over again, really appreciating him for the superstar that he was. Not only is he arguably the greatest basketball player ever, but he has probably become the biggest brand in all of sports. Not bad for a scrawny kid from small town Wilmington, North Carolina who failed to even make his own high school team. 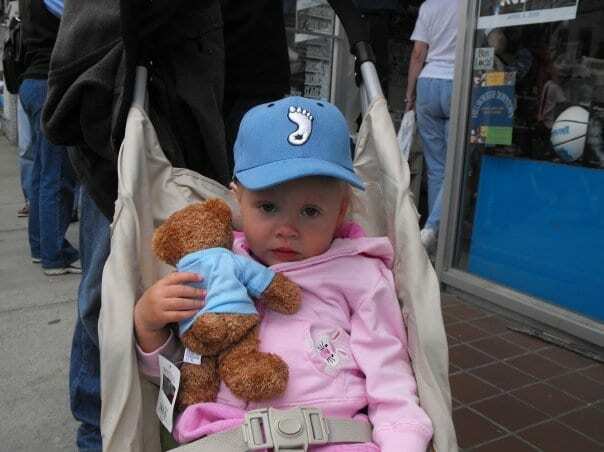 In 2004 we relocated to live in North Carolina through a teaching program Caz was sponsored by. 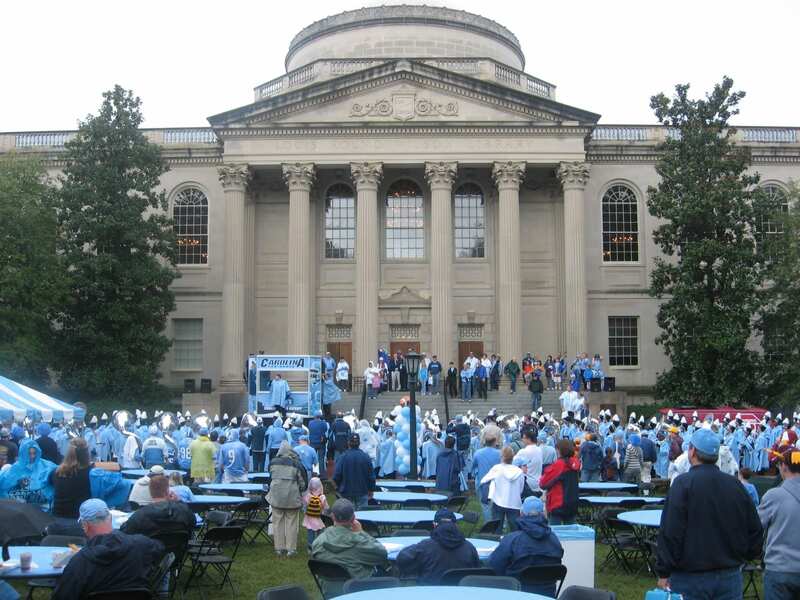 As it turned out, the headquarters of the program was based in Chapel Hill, home to the University of North Carolina. 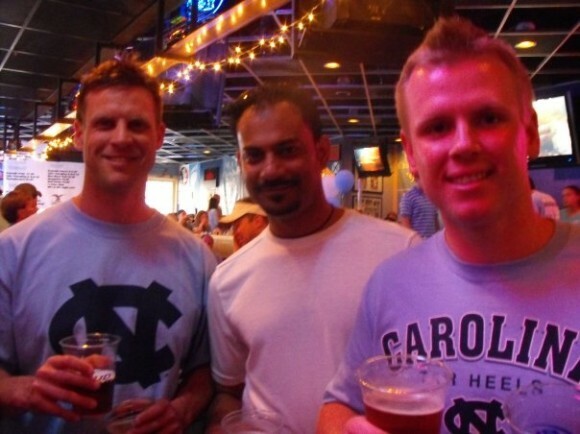 Whilst we were based 30 minutes down I40 in Raleigh, more often than not we would would hang out in Chapel Hill on a weekend. 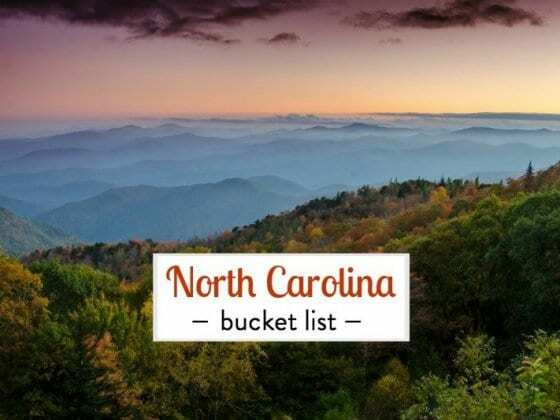 It soon became one of our favorite towns we’ve visited, and it’s easy to see why it’s consistently rated as one of the best places in America to live and as being one of the best college towns in the country. Sometimes a love for a place is unexplainable because its a connection you find with the energy that vibrates from there. And there is plenty of energy in Chapel Hill. A college town; a major US basketball college town. In fact one of the best basketball colleges in the country. It is the place Michael Jordan says ‘made him who he is today’. 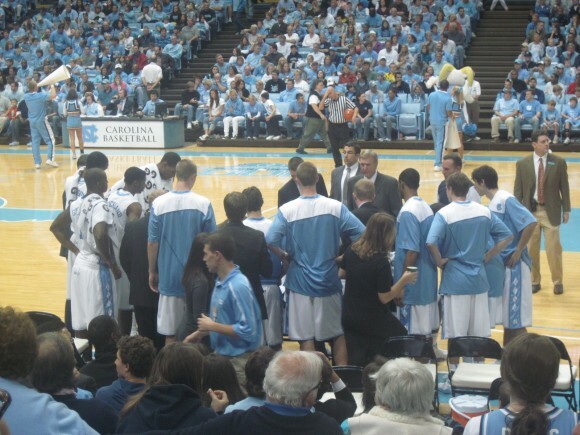 It is almost impossible to live the expat life in North Carolina without becoming a fan of college basketball. The Raleigh triangle area is home to not only UNC, but also Duke University and North Carolina State University, all of which have long standing traditions in basketball. College basketball in North Carolina just gets under your skin. 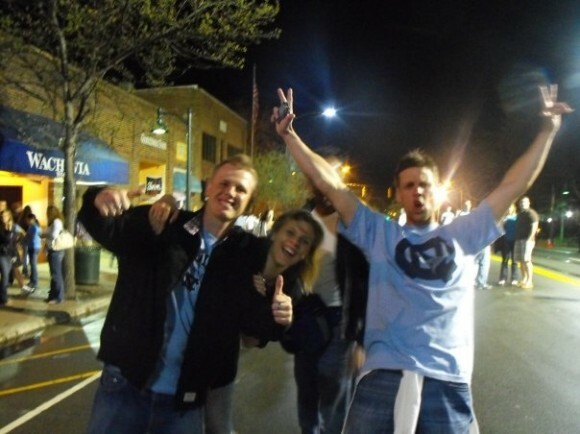 It’s fans are passionate and intense, and in fact the UNC v Duke rivalry is considered one of the biggest in all of sports. 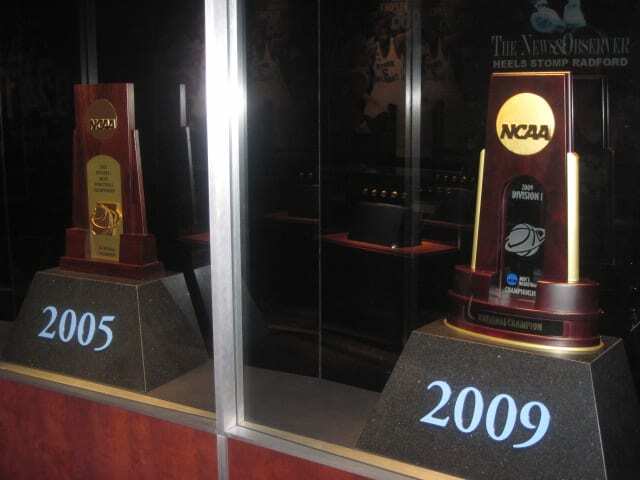 To get a feel and understanding of the tradition and passion that is Carolina basketball, visit the awesome and free Carolina Basketball museum. 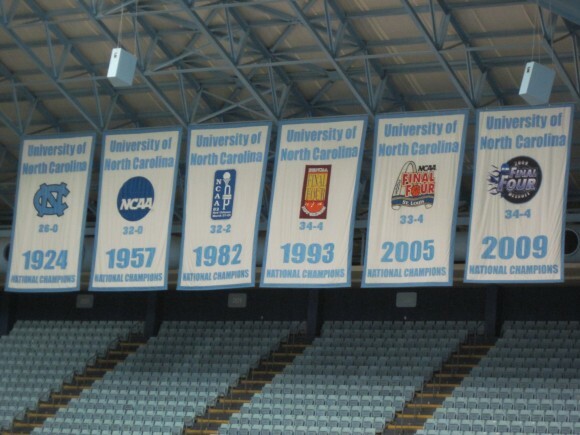 It has interactive displays on all the past and present stars, including Michael Jordan, the championship trophies, and a 6 minute introductory movie simulating a game in the Dean Dome. During his career in the NBA, Jordan wore his Carolina shorts underneath his Bull’s shorts for good luck. The common thread mentioned throughout the museum by the players is…“I would not be who I am today if it was not for Carolina basketball”. The campus is one of the most picturesque in the country. Take a gentle stroll around the oldest state university in the land and get a feel for what it would be like to be a student. See it’s historic buildings, oak tree lined parks, and beautiful gardens. On game day it will be a buzz of activity and finish with a visit to the basketball museum. From the museum you can catch a free campus bus back up the hill to Franklin street. We love Franklin street. 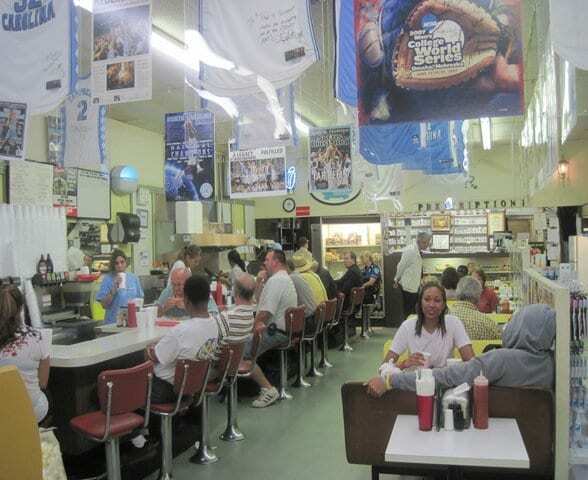 It’s at the front of the college and is the street where all the vibrancy lives through it’s many restaurants, cafes, bars, and of course the ubiquitous Carolina blue merchandise stores. 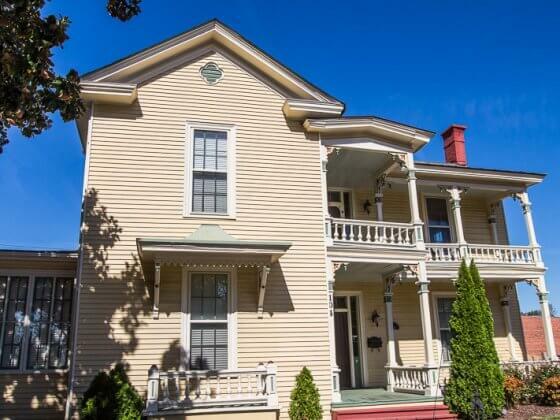 It’s very walkable and has a nice charm about it. This bar is another institution on Franklin street. 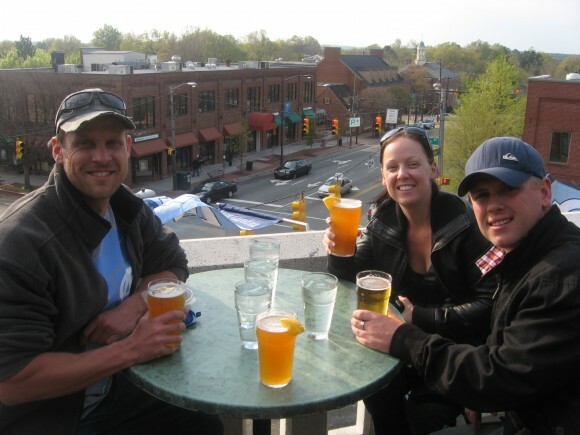 Top of the Hill Bar and Brewery has won 16 medals in the World Beer Championships and is recognized as one of the best breweries in the US. 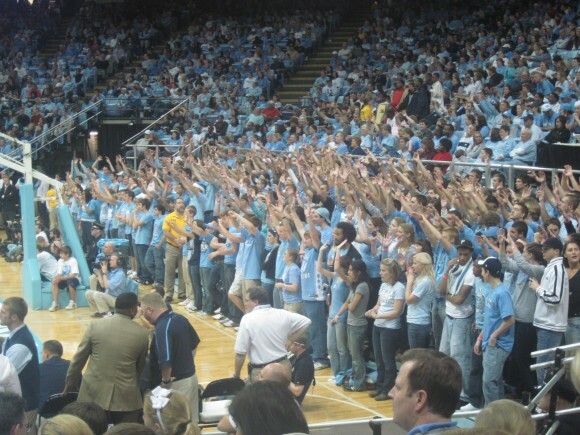 The Dean E. Smith center, or Dean Dome, is the home to Carolina Basketball and provides an electric atmosphere. The 20,000 plus capacity is consistently sold out and know matter where you are, you can see and feel the experience. 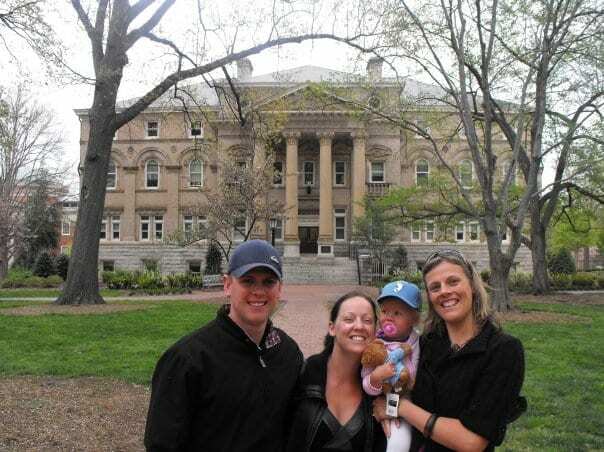 In the four years we lived in North Carolina, the Tar Heels won two National Championships. 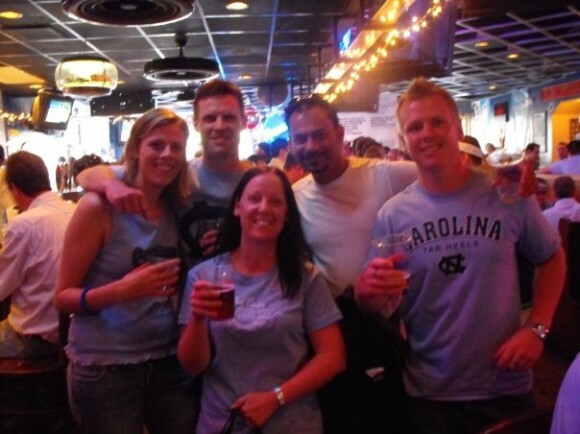 The experience of watching two Final Four’s in a bar in Chapel Hill with thousands of other students and die hard Carolina fans is like nothing we’ve experienced elsewhere. And the post game celebrations on Franklin street are legendary. Thousands of students spill out of the Carolina blue bars and nearby campus buildings and jump over street bonfires kept aflame by t-shirts and torn down signs and whatever else you can thrown in there. It’s an insane party. A street party to rival all parties. Twice now we’ve been cheering wildly at the bars, jumping over the fires and the crashing frat parties afterward. To be a part of that is one of our most fun and memorable travel experiences. As I write this, Carolina is only hours away from playing Kentucky for a spot in this years Final Four and a chance at a sixth National title. We’ll be watching anxiously from Australia, with vivid pictures in our mind of the craziness going on in Chapel Hill. Very interesting post on a travel blog. My hubby went to UNC and is a die hard tar heel and the 2 schools where I went weren’t big sports schools, so I’m an honorary tar heel. He was even talking about getting Final Four tix on Stubhub if Carolina won today. Loved this post, and best of luck to UNC against Kentucky! I’ve always admired Mr. Jordan and his attitude. He is nothing short of inspirational. I never watched him play with UNC but certainly followed him in his NBA career. 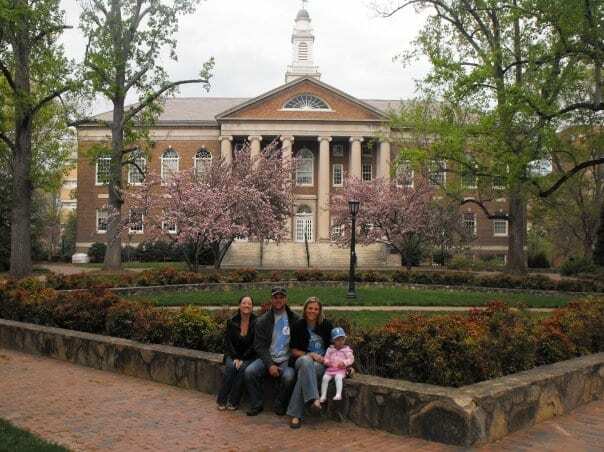 Your pictures and description at UNC are awesome. it looks like such a special place, and the atmosphere at the UNC games looks intense. Our biggest sport memory in our travels has to be when we were in Lambayeque, Peru eating in a Chifa (Chinese food restaurant). We politely asked the waiter if they could turn on the Olympic Gold medal game for the Men’s hockey. Canada was playing the United States and when Crosby scored that winning goal for Canada in overtime we jumped from our seats. We were the only foreigners in the restaurant. And while the rest of the people in the restaurant were trying to figure out what was going on or better yet what this sport was, we were celebrating! We will never forget that moment. A little cliche, Canadians and their hockey right? OMG I love the mascot, he has evil eyebrows like Mr. Bacon! Wow it seems you all had a brilliant time, looks awesome! Michael Jordan took a once very stubborn kid who said “The only ball sport I will ever watch is football,” like me and got me HOOKED on basketball. I LOVE one of his quotes on failure: “”I can accept failure, but I can’t accept not trying.” Michael Jordan-what a top bloke! I’ve never been to Chapel Hill — I’m not even a basketball fan — but this post really makes me want to go there! This was a very interesting post. I have not lived in or near a college town so I do not have the frenzy experience. It has always intrigued me and I think I should attend a college game to have that experience. I do,however, like basketball. Growing up in Southern California, I am a Laker fan! Cool post, Craig! The UNC campus looks beautiful — I’ll have to visit there someday. So fun to stroll around places like that. There is something about getting in the middle of the excitement swirling around sports events. Even if you’re not a huge fan you can be lots of fun. 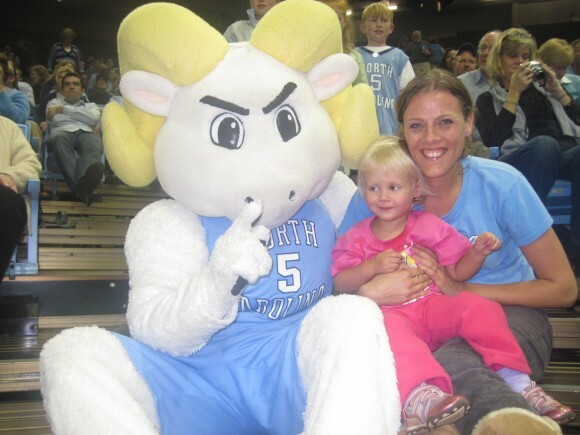 Love the look on Kalyra’s face looking at the mascot – so cute. What amazes me is how some sporting codes like you mention keep their stadium always full! We get that here in NZ, but then next year the situation can change noticeably, and you’re always struggling to get the numbers – do you find that in Australia? Great post Craig! I don’t get to watch sports too often, but when I was in the States I enjoyed March Madness. The tournament has to be one of the more exciting competitions, with so many games played neck and neck to the last seconds. When I was a kid, Michael Jordan, along with a few football (soccer) stars were definitely my heroes! Those can not be the shoes Jordan wore in the championship game vs G’Town. The entire team wore the same HIGH-TOP Converse shoe, not the LOW cut version in the photo above. Look at every photo of Jordan in that game and this can be seen very clearly. Well you better chat to the people at the UNC basketball museum as that’s what they are telling everyone. Since it’s there University I’d think they’d like to know if they are making this mistake! The most obvious evidence is the iconic photo of Jordan taking the game-winning shot with 17 seconds on the clock. It clearly shows Jordan wearing the high-top Converse shoes. 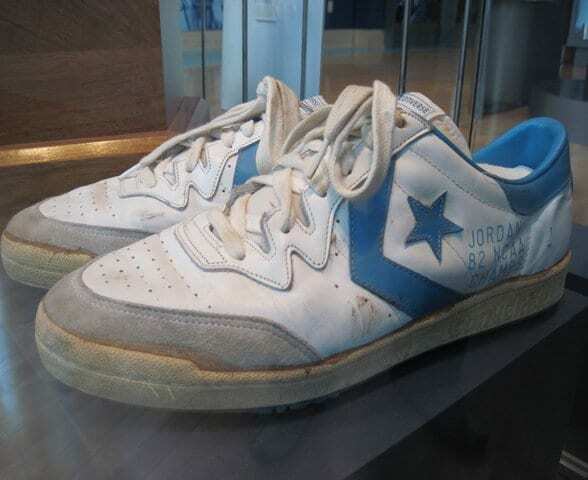 The shoes pictured may have very well been worn by Jordan sometime during the 81-82 season, but NOT in the 82 championship game.